Nothing will stop you with the Venum Sharp 3.0 fightshort! 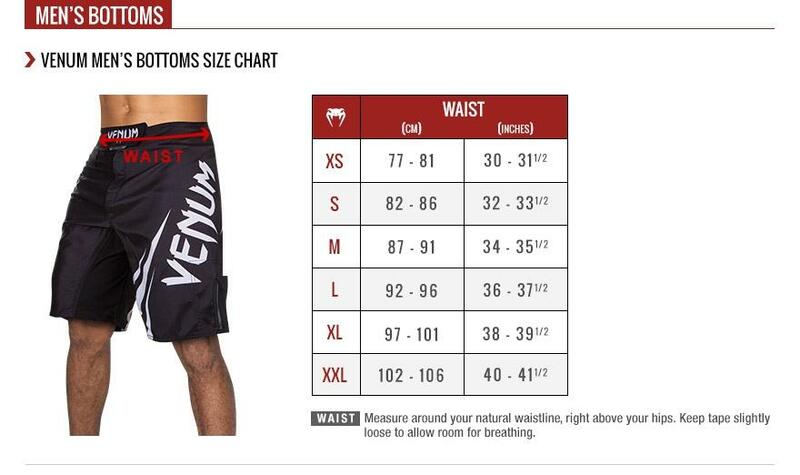 Constructed from a durable microfiber Venum MMA shorts were designed to measure your determination. Thanks to its light fabric and its Flex-System yoke underneath the crotch, the Sharp 3.0 fightshort delivers superior mobility, ensuring dynamic strokes and quick transitions during combat. Equipped with a mild Velcro, its closure ensures a perfect fit around the waist. This Venum Sharp 3.0 fightshort will follow your every move. 100% Polyester: light and durable. Flex-System - with a stretch fabric with 4-way - to extend your range of motion. New: locking system with a non-abrasive + Velcro drawstring.